The "Respected Supreme Leader" has been the center of attention - just as he likes it. Seoul: As 2017 opened, Kim Jong Un delivered a New Year's address in which he declared that North Korea had "entered the final stage of preparation for the test launch of intercontinental ballistic missile." As 2017 draws to a close, Kim can reflect on a year in which he's not only kept his resolutions, he's exceeded them: A missile that can fly 8,000 miles to reach Washington, D.C.? Check. A hydrogen bomb 17 times the size of the one the United States dropped on Hiroshima? Check. The whole world paying attention to him and taking him seriously? Double check. For good measure, Kim had his half brother and potential rival murdered in a gruesome chemical weapons attack, and dispensed with a bunch of top apparatchiks who might have had different ideas about how to run the country. And he's done it all while facing a new and unconventional adversary in Donald Trump, a president who has mocked Kim as "Little Rocket Man" and has repeatedly threatened military action. It's been a good year for Kim. "Kim has now consolidated power internally, is 90-95 percent done with the nuclear program and there are no signs of serious dissent within the regime," said Sue Mi Terry, a former Korea analyst at the CIA who is now at the Center for Strategic and International Studies in Washington. "That's cause for cheer in the dictator's household." Six years ago this month, when the 27-year-old Kim succeeded his father, there was widespread skepticism that the inexperienced youngster would be able to maintain the world's most totalitarian state. He was viewed as something of a cartoon villain. But he's proven just as ruthless and controlling as his father and grandfather before him - perhaps even more so. 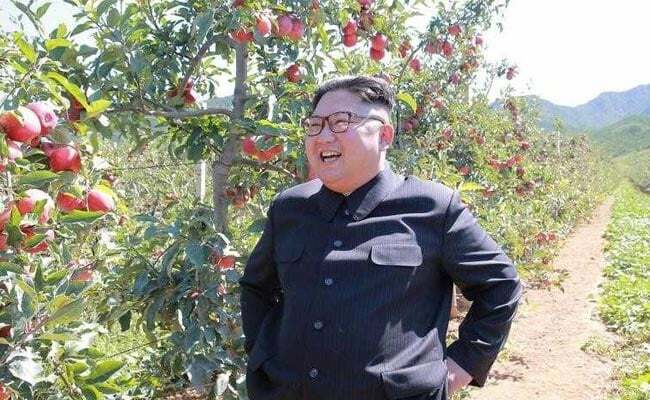 And he has consolidated his leadership of the regime, most recently by promoting himself to "Third General," replacing his grandmother in the North Korean holy trinity of revolutionary leaders. Far from struggling with the job, he appears more confident and bolder than ever. On a trip this month to Mount Paektu, the spiritual home of the Korean people but one that has been co-opted by the Kim regime, the third generation leader appeared to put himself on equal footing with his grandfather, "Eternal President" Kim Il Sung. The Rodong Sinmun, the newspaper of the Workers' Party, ran 60 photos of the visit. Fifty of them showed Kim, including ones of him standing in a wool coat and dress shoes after - according to the paper - climbing the 9,000-foot snow-covered mountain. It's a far cry from the predictions of imminent collapse when he took over at the end of 2011. 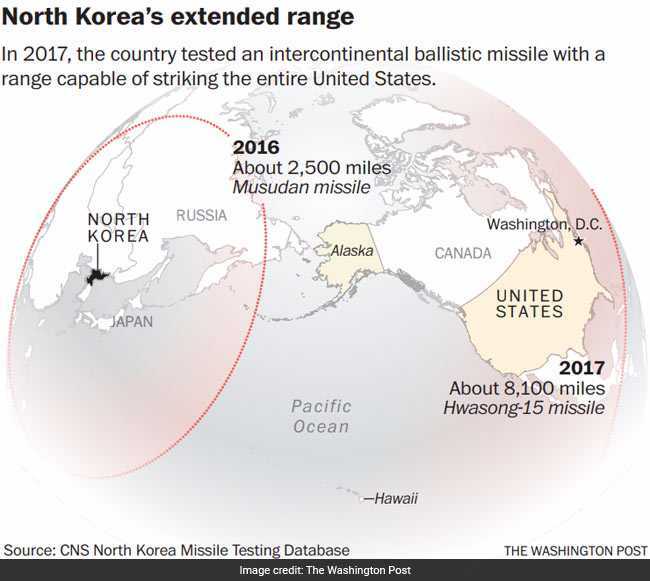 After 25 missile launches this year, including three of an intercontinental ballistic missile, and a powerful nuclear test, North Korea likely has only one key threshold to cross to become a full-fledged nuclear power, Terry said: building a re-entry vehicle that can carry the nuclear warhead safely through the upper atmosphere. "It is possibly just one technical step away from being able to credibly threaten the U.S. with a nuclear weapon," she said. Even his standoffs with Trump have served him well, said Nam Sung-wook, a former head of the South Korean intelligence service think tank who now teaches North Korean studies at Korea University. If Kim was one of Nam's students, he'd get an A for his year's work. "He's had a successful year by directly confronting Trump," Nam said, adding that Kim's international status has only risen because of the tensions. "From the North Korean perspective, Kim Jong Un is doing well as a young leader, standing equal with Donald Trump," he said. "The recent war of words between Kim and Trump must have helped his leadership status domestically." There are plenty of signs that Kim has continued to strengthen his grip on the regime. He is accused of ordering the assassination of his older half brother, Kim Jong Nam, in an airport terminal in Kuala Lumpur, Malaysia, in February, eliminating one of the few other people who could stake a claim to carrying on the Kim family leadership. Yet he suffered no repercussions for the brazen attack. More recently, he has banished members of the old guard. South Korea's intelligence service thinks Hwang Pyong So, head of the army's General Political Bureau, has been purged - or worse. Kim Ki Nam, a propaganda chief who worked for Kim's grandfather, hasn't been seen for months. The turnover at the upper ranks within the Workers' Party apparatus is notable, said Ken Gause, a North Korea leadership expert at CNA, a Virginia-based consulting firm. The patronage networks that his father established have been swept away, and a new generation of apparatchiks who owe their loyalty entirely to Kim have been installed. "Lot of things changed inside North Korea," Gause said. "It is not the same North Korea that it was in 2016." But the nuclear-backed threats and the purges have provided ammunition to those in the Trump administration and on Capitol Hill who say Kim is a madman who can't be deterred in the way that the United States has been deterring North Korea for seven decades. Trump has said Kim is "obviously a madman who doesn't mind starving or killing his people" while Nikki Haley, his ambassador to the United Nations, has asserted that the North Korean leader is not rational. But all of Kim's actions, while often callous, have solid reasoning behind them, Gause said. "He is a ruthless leader but he is a very pragmatic leader and thinks through everything he does," he said. Kim's top priority is regime survival. Getting rid of rivals or naysayers, or threatening to fire a nuclear-tipped missile at the United States if attacked, helps him achieve that goal. "Every one of his actions which, on the surface, seems potentially crazy, actually makes perfect sense for somebody who is consolidating their power in the very rough-and-tumble environment of North Korea," Gause said. So what will 2018 hold? Kim will supply some hints in his next New Year's address, to be delivered Jan. 1. "I expect Kim Jong Un to declare that he and his nation are ready to fight against the U.S. and to promise that North Korea will continue pressing ahead with its nuclear and missile ambitions," said Nam, the South Korean expert. As he makes progress, will Kim be willing to hold direct talks with the United States? Some analysts say the prospects for diplomacy are improving as North Korea gets closer to achieving its weapons goals because Kim wants to meet on equal footing. "He's willing to now have discussions negotiations with us under certain conditions," Gause said. "But denuclearization is probably a nonstarter."